In the course of building my lab for my Nicira NVP role, I needed to install various hypervisors, in particular Linux KVM so I could install and test the Nicira NVP setup. Of course I did not want to do this on bare metal and I have no intention of trying to set up OpenStack or CloudStack just yet, I can make do with the hypervisors only. I will do some other blog posts on the importance of the Cloud Management System to the Nicira NVP components. 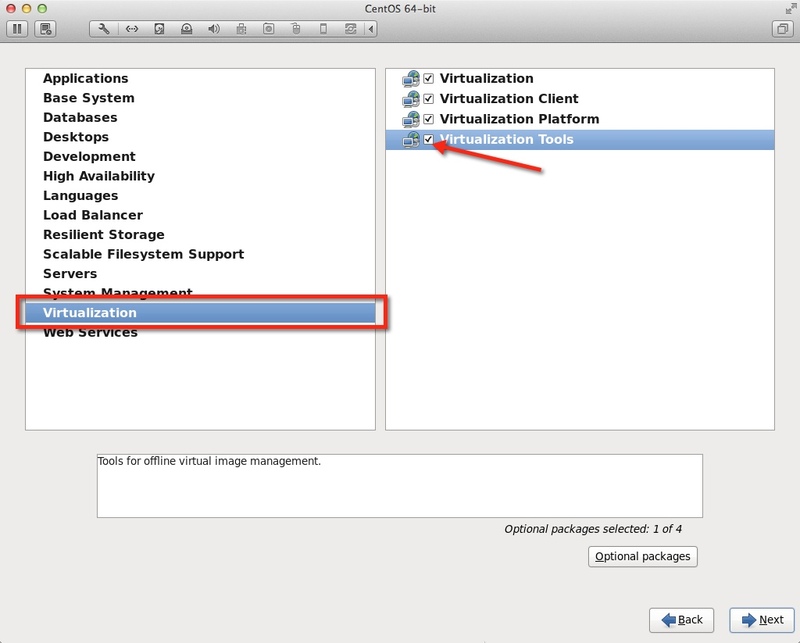 For the purposes of this post I wanted to share the documentation I collected on just what is needed to get KVM on CentOS 6.3 up and running specifically for use with Nicira NVP. This was something I learned the hard way. 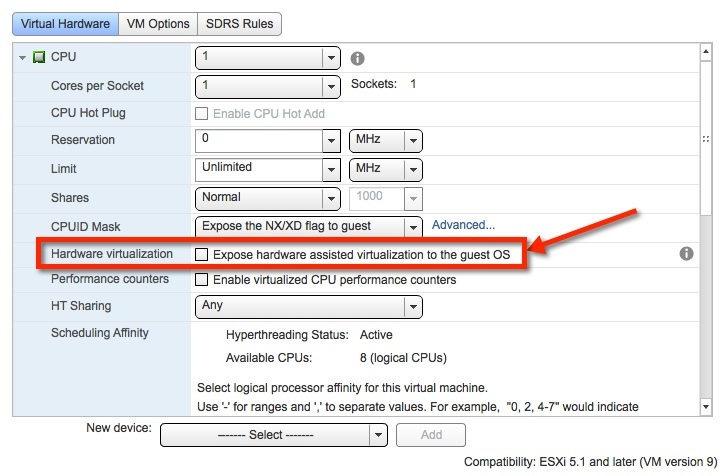 With vSphere 5.1 you cannot create a new VM in the Windows vSphere client and allow the virtualization features of the processor to be presented. 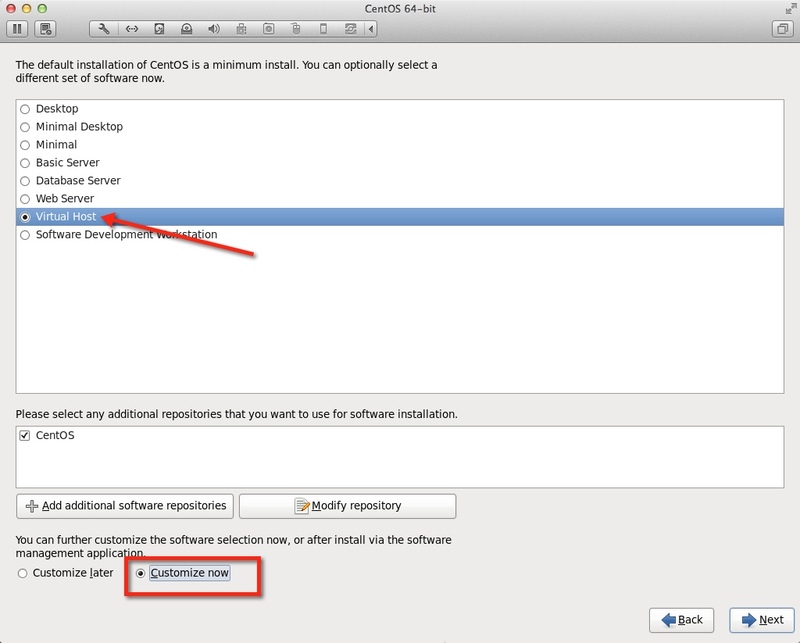 This check box option as best I can tell is only available in the new vSphere Web Client. So you will want to use the web client to create the shell not the windows client. At this point you may want to add and configure a few things so you can clone this VM and be ready for further customization. Below are some of the updates, packages, and edits you may want to do on this host. NOTE: – When you SSH use -X to enable X11 redirection to your client for running virt-manager, and you will need an X11 setup on your Mac (XQuartz), or Windows. Personally in my lab I also disabled SELinux and IPTables as I was not sure what they would do to KVM. delete the lines that begin with SUBSYSTEM=="net"
Once you have updated and rebooted follow the standard operating procedure to install VMware Tools on this Linux Virtual Machine, and at this point you can shutdown and clone the Virtual Machine to a Template and re-clone to a new Virtual Machine.